Providing you the best range of combined tap drill and ratchet drill machine with effective & timely delivery. We are engaged special designed in the business of manufacturing and exporting of Combined Tap Drill into the pipe easy and back portion taps on the same hole portion immediately after drilling without unlock the machine. 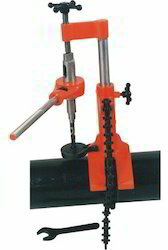 Combined tap drill known for its longer functional life, it is highly acclaimed in the market. 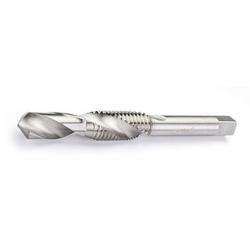 we are counted amongst the reputed manufacturers and exporters of widely demanded Ratchet Drill Machine with latest & advance technology. It is a multipurpose machine so it can complete the Job of Drilling & Threading simultaneously on Cast Iron Pipe, Ductile Iron Pipe, M.S. Pipes & remaining sleeves for Drilling in Girder, Channel & Pole etc.